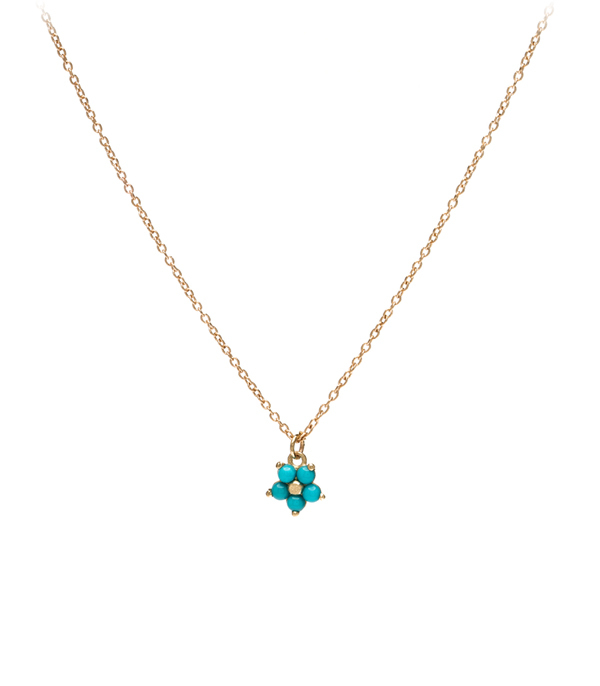 Our 14K matte gold turquoise set forget-me-not flower charm necklace serves as an everyday reminder of those close to your heart. Hanging from a delicate gold cable chain, this colorful charm necklace makes a perfect gift for a treasured friend or loved one. Chain measures 16".